The Strawberry Field Forever. Well, since 1997! Where can you find a royal flush of organic cinnamon, cardamon and ginger? An uplifting organic lemony zing with a flying finish? Guilty Pleasures? Where will you find a toilet seat in a strawberry shape? 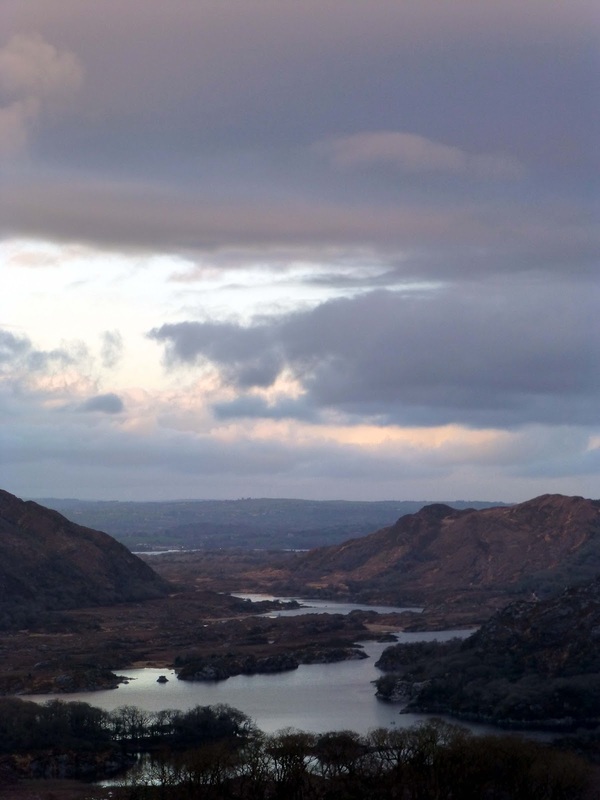 Where can you find “the biggest little treat in Kerry”? I’ll tell you. 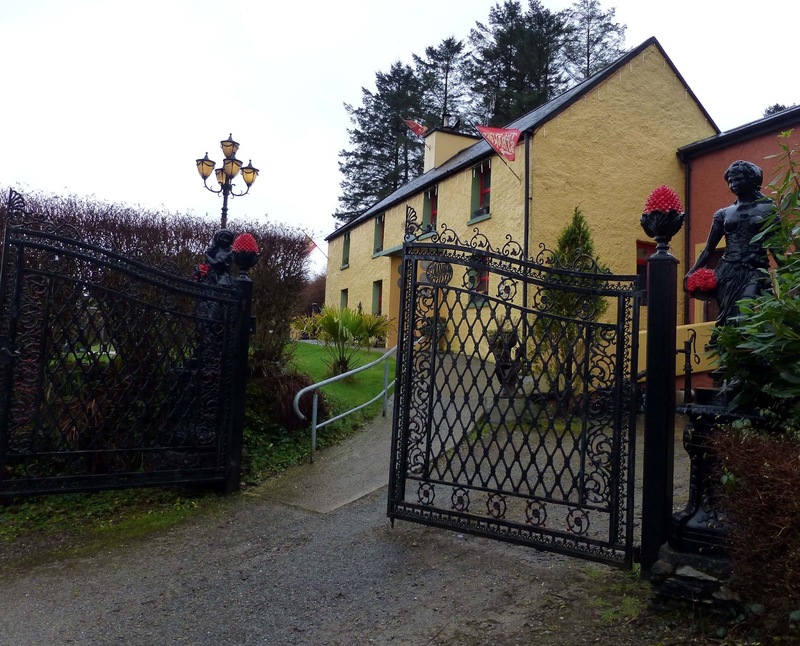 Coming from Killarney towards Kenmare, turn right at Moll's Gap and, about four kilometres out the Sneem Road, you’ll find the Strawberry Field and its Pancake Cottage on your right. Call in, and you will see the first two above on the extensive Pukka Tea menu; the third is a menu list itself of delicious pancakes. The wood-burning soapstone stove is a focal point in the front room and indeed has a tank directly on top where water is heated. Up to thirty may be seated in this room at the large benches and there is room for another dozen or so in the craft room. The pancakes range from savoury to sweet, are pan-fried and made to order. 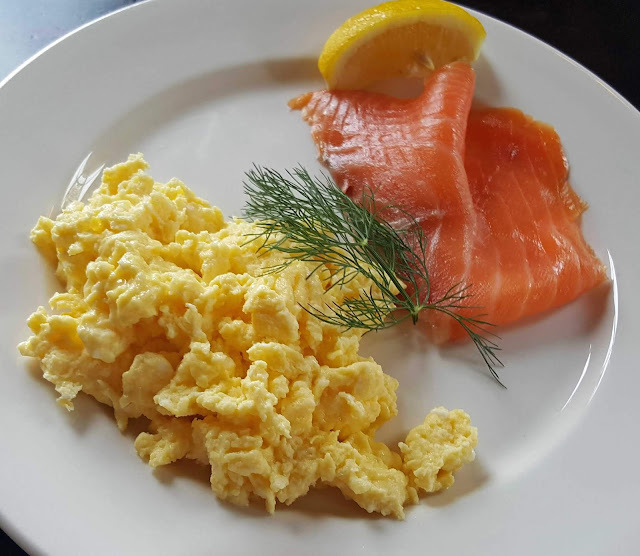 And there is quite a menu, ranging from a Simplicity section (eg bacon and cheddar) to Speciality (like smoked Irish salmon, leeks, spinach leaves and sour cream). There is a Classic Selection (think lemon and honey), the Guilty Pleasures (which also includes Nutella), and Fancy Fruity to finish with. It was misty when we arrived shortly after noon. We concentrated on the Speciality. 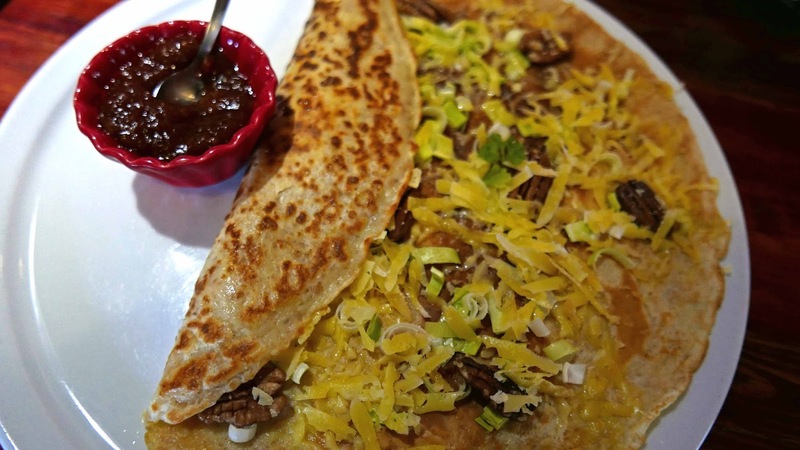 I picked the pancake topped with a local Farmhouse Garlic Cheese, Leeks, Walnuts, Ballymaloe Relish. Super stuff and a lovely lunch at a fair price. 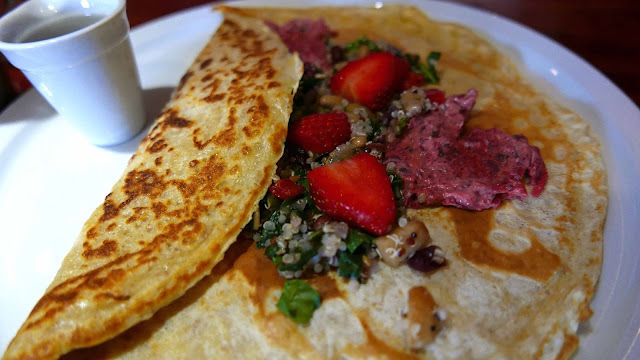 And CL was also very happy with her Good Stuff pancake containing: quinoa, strawberries, cranberries, onion, apple, roasted seeds, kale/spinach, beetroot hummus. 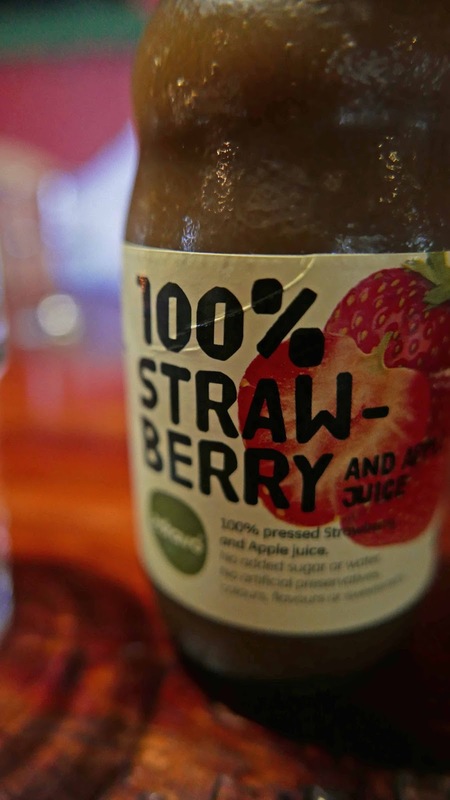 We also had a bottled fruit drink each, both from Serbia, an Strawberry and Apple along with a Raspberry and Apple. The bill for the four items came to about twenty two euro. What else? Well if you don’t like pancakes you may have Soup of the Day, scones or Dutch Apple Pie. Decent coffee (Giuljano) here too and no shortage of teas. 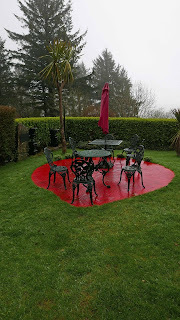 We’ve been there twice in recent years but have yet to dine outside as the weather wasn't kind. Third time lucky? Open 7 days a week from Saturday 24th of March - end of September. 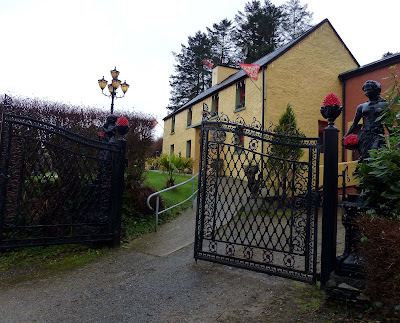 On the road from Sneem (Co. Kerry) to Moll’s Gap, there is a place called A Strawberry Field where you will find Pancake Cottage, which is open all year round. 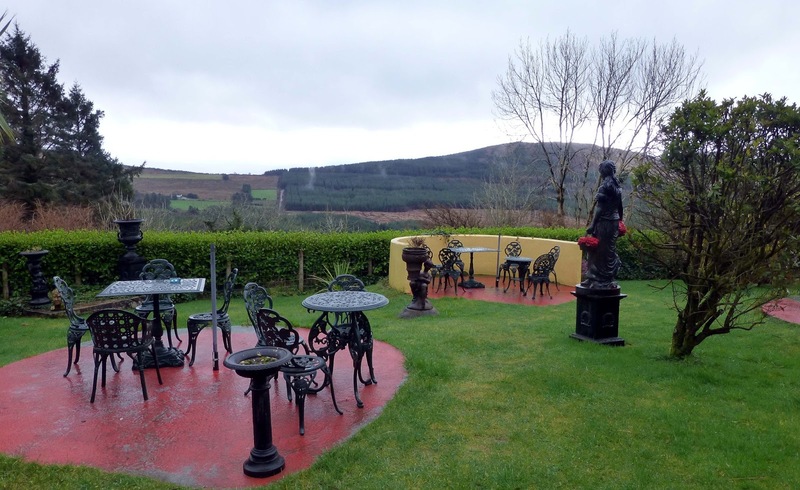 The views from the garden are splendid but not so last Saturday as the rain was coming and going. 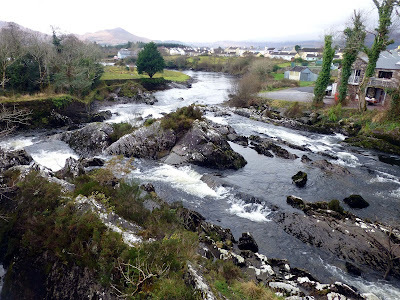 We had earlier called to Sneem for a quick walk around, having a look at only some the many sculptures in the little town and also at the river as it rushed under the bridge. Then we took that rising road and enjoyed some decent views, despite the cloud kissing the mountain tops. The Strawberry Field is nearer Moll’s Gap than Sneem and is on the left hand side. We just had time for a cup of coffee (Illy) and never got to the pancakes. And that may be just as well as we’d have definitely missed our appointment in Killarney. The selection of toppings just goes on and on, sweet and savoury and also a kids menu. 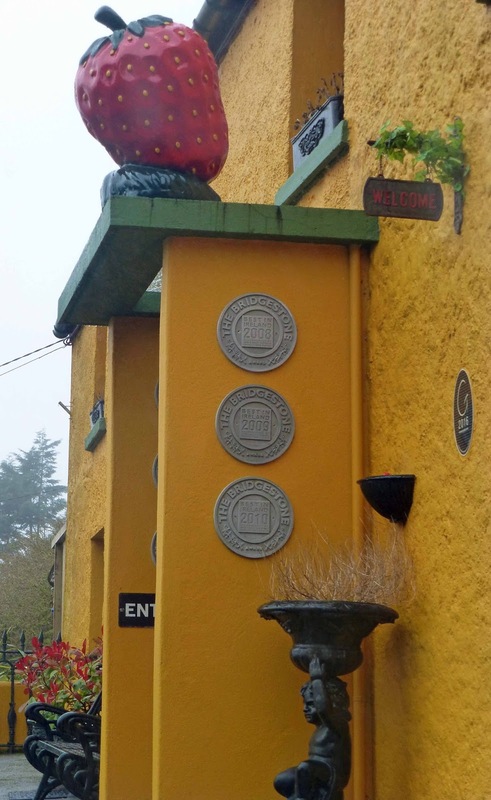 Our friend in Killarney told us she stopped there once for one and ended up eating a series, her ultimate destination never reached. It is that kind of place. 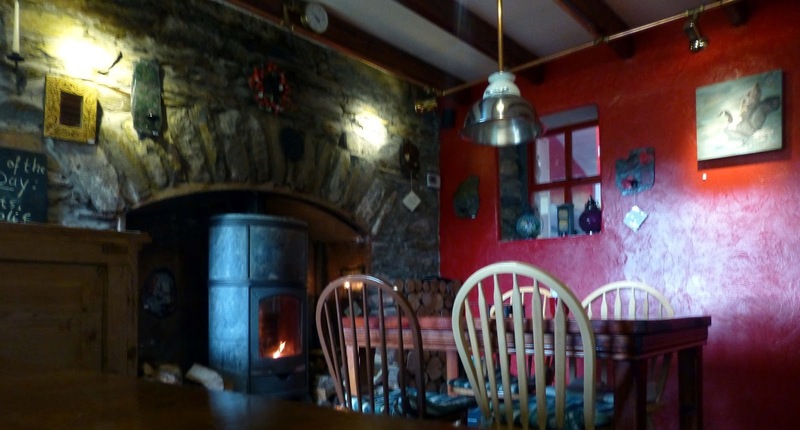 There is some home-baking here also, including scones and a traditional Dutch apple pie, good teas and coffees and soft drinks, including water from their own well, soup also. In addition, there is a side room that contains a little craft shop, with photos, paintings and craft products for sale. But we resisted, promising ourselves we’d call again, and headed on to Moll’s Gap and eventually to our meeting in Killarney and a lovely lunch in Treyvaud’s. Not a bad half-day’s work!